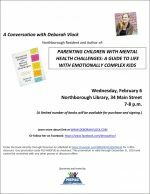 Above: NSPAC is hosting a talk with a local author and mother who will share what she has learned from parenting an emotionally complex kid. As I posted last month, NSPAC is holding a series of talks for parents this year. Next up is “A Conversation with Deborah Vlock”. 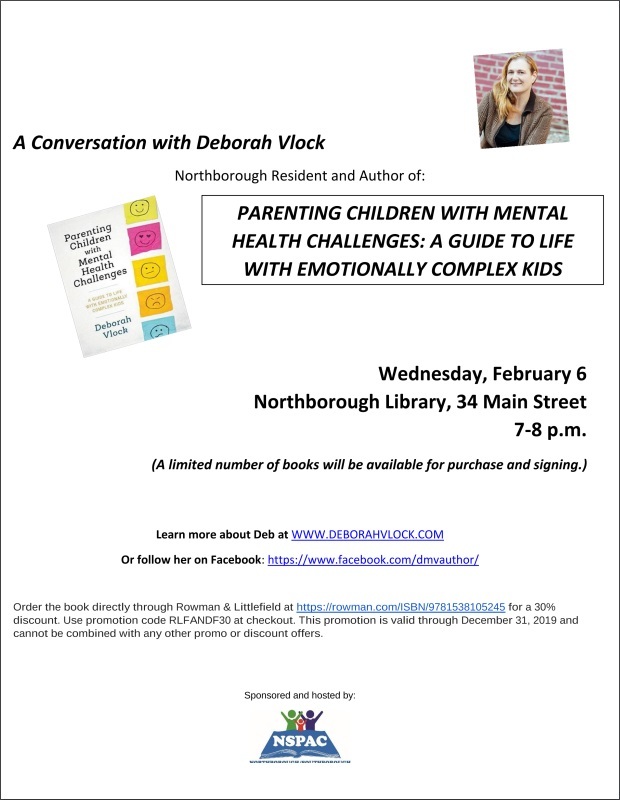 Meet Deborah Vlock, author of “Parenting Children with Mental Health Challenges: A Guide to Life with Emotionally Complex Kids.” Deborah offers overwhelmed readers guidance, solidarity, and hope. The author, a “mental-health mom” who’s survived indignity, exhaustion, and the heartbreak of loving a child with multiple mental-health disorders, writes with frankness and occasional humor about the hardest parenting job on earth. 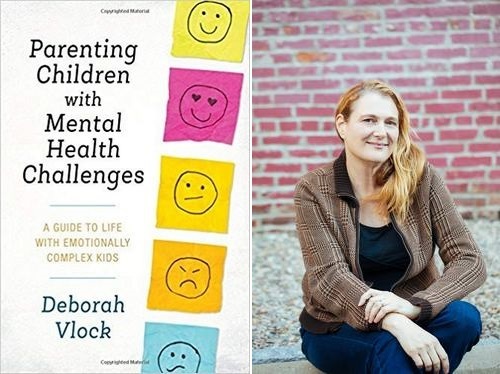 Drawing on her own experiences and those of other parents, plus tips from mental health professionals, Vlock suggests ways of parenting smarter, partnering better, and living more fully and less fearfully in the shadow of childhood psychiatric illness. The talk will take place next Wednesday, February 6 from 7:00 – 8:00 pm at the Northborough Library, 34 Main St. Guarantees or warrantees of any kind. Because mental illness doesn’t work like that. Proof that you are not trudging these pathways alone, even if it feels that way. . . Suggested strategies for supporting your struggling kid(s), your family, and yes – you. . .
Decoding Dyslexia – MA Executive Director and Co-founder, Nancy Duggan, will present on Reading Goals. Northborough Library, 34 Main St., 10 am – 12 pm. Decoding Dyslexia-Massachusetts is part of a nationwide network that works to inform families accurately regarding evidence based interventions proven to help dyslexic students learn to read, raise awareness of policies and legislation that effect dyslexic students, create an informed network of families working to improve literacy and education for students with dyslexia. Most recently, Nancy’s dedication, drive and knowledge helped to pass the first legislature in Massachusetts for early screening for dyslexia. Basic Rights Presentation by Jessica Sales Cohen from the Federation for Children with Special Needs. (Robert E. Melican Middle School, 145 Lincoln St., Northborough), 6-8 pm. To learn more about NSPAC, click here. *The morning sessions are open meetings and all are welcome to attend. However, you are asked to please use the proper channels to discuss any individual IEP or 504 concerns.